D-I-M Mobile - Nekaro & Co. I think I've looked at a million different mobiles for Rowan's crib. The ones that I L-O-V-E-D were just way too expensive! I mean, $50 to 70 or more for a mobile that (according to the powers that be) will only be in/on/above the crib until the baby can sit up, just seems ridiculous to me. Babies outgrow everything so quickly! And the ones in the stores just weren't unique enough. This is where my Pinterest came in handy. I was looking for baby stuff and came across a pin for a do-it-yourself crib mobile. Several actually, but this one in particular looked very do-able for me. 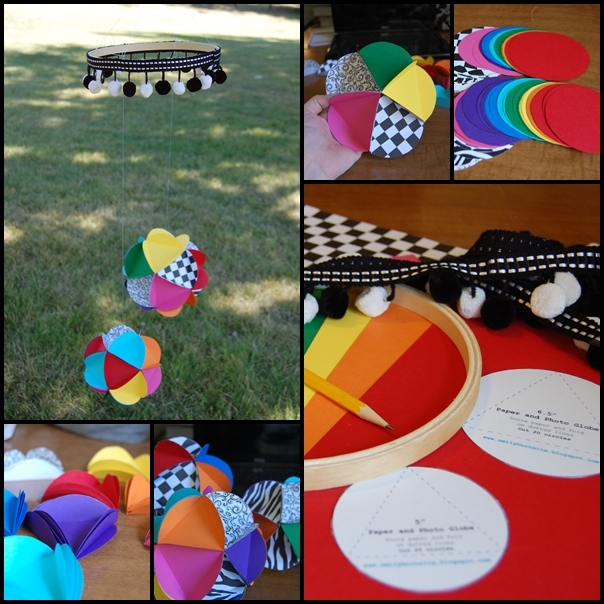 The simple circle pattern that I used comes from this blog. However, you can easily just make your own circles.